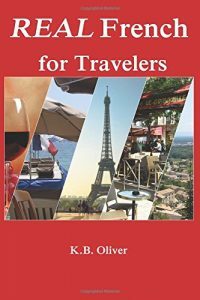 Ever wonder what lies at the northern tip of France? 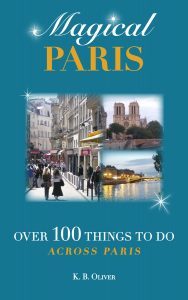 If you’re in Paris, keep heading north until you reach a region called Hauts-de-France, or simply, northern France, just east of Normandy. This area used to be two regions, Nord-Pas-de-Calais (close to the English Channel) and Picardie, but in 2016 these were merged. This post will be in two parts. In this post, you’ll get an overview of the Beach Tour. Your next post will cover the Inland Tour. You might go through the Northern France region if you are driving from Paris to Belgium or Holland, since Belgium hugs its eastern border. Or you might want a peaceful, pastoral place to spend a weekend at a gîte or on a farm (or both!) It would take under two hours from Paris to find your green country paradise. 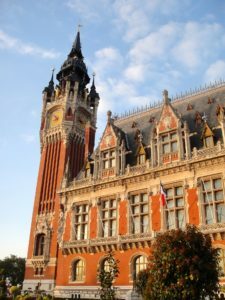 There are two larger cities, Lille and Amiens (see in the next post), and some smaller, memorable ones (Calais and Dunkirk) along the coast for a nice balance of rolling hills, beaches, and vibrant city life, as well as much for history enthusiasts. In fact, this area is brimming with important historical landmarks, from the Hundred Years War to the Second World War, including many significant events along the way. Start your tour of what is known as the Opal Coast in the town of Dunkerque. This name is familiar because of World War II history, and recent films have kept that history alive in our minds. This year marks the 100th anniversary of the end of World War I, so many are flocking to this area to commemorate the event. Dunkerque has the third largest port in France. Narrated harbor tours will bring the history of the area alive. In that spirit, you can visit war memorials and war museums that detail the events. Take a guided tour of the town and don’t forget the maritime museum. Dunkerque’s proximity with the Belgian border gives a Flemish cultural flavor, which you’ll see in architecture and taste in the cuisine. Calais: A little further down the coast you’ll find Calais, also important in World War II History. It is a primary ferry port for English channel crossings. The town hall with Flemish and Neo-Renaissance architecture is worth seeing, with its bell tower (with panoramic harbor view) and a life-size Rodin statue in front, called the Burghers of Calais. Lace was an important product here, and at the City of Lace and Fashion (La Cité de la Dentelle et de la Mode) you can see the whole story. A World War II museum here resides in a former German bunker. Boulogne-sur-Mer: Here you have a lot to see…a beachside town with a fishing harbor, a medieval chateau, and a museum of fine arts. The most popular excursion by far is Nausicaä, the French national marine center and aquarium. Nearby is the small beach town of Wimereux. Hardelot: sleepy, charming beach town where Charles Dickens stayed. Not crowded. Berck-sur-Mer: A great family beach, perfect for kite-flying, too! There is an annual kite-flying festival each year in April. Merlimont: a small-town beach, good for families. Le Touquet: Was once called the Monaco of the North, where rich Parisians came to vacation. It’s still an elegant place to visit, with interesting Art Deco villas you’ll enjoy seeing. St. Cecile: Big dunes and small crowds. A peaceful beach for a quiet visit. Audresselles: A lovely fishing village with quaint white houses and lots of good restaurants. Cap Gris-Nez (Gray Nose) and Cap Blanc-Nez (white nose) are two capes about 7 miles from each other. 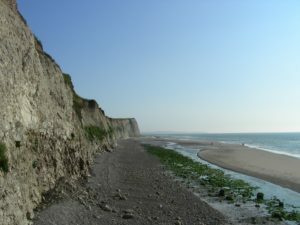 The latter is the most northern point of France, and from its lonely but beautiful cliffs, you can look across the English Channel to see the white cliffs of Dover, England. At the Maison du Site des Deux-Caps (a welcome and info center in the town of Audinghen), you can pick up brochures for biking, walking, hikes and tours. 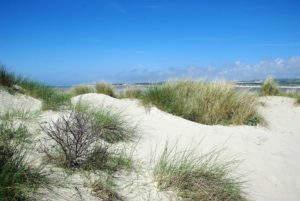 beaches of Northern France, Boulogne-sur-Mer, Calais, Dunkerque, French beaches, Hardelot, le Touquet, Merlimont, Northern France, Opal Coast. Bookmark. Merci bien pour tes très interessants articles. J’aime beaucoup les lire.